Guest post by Vladimir Nikitin. 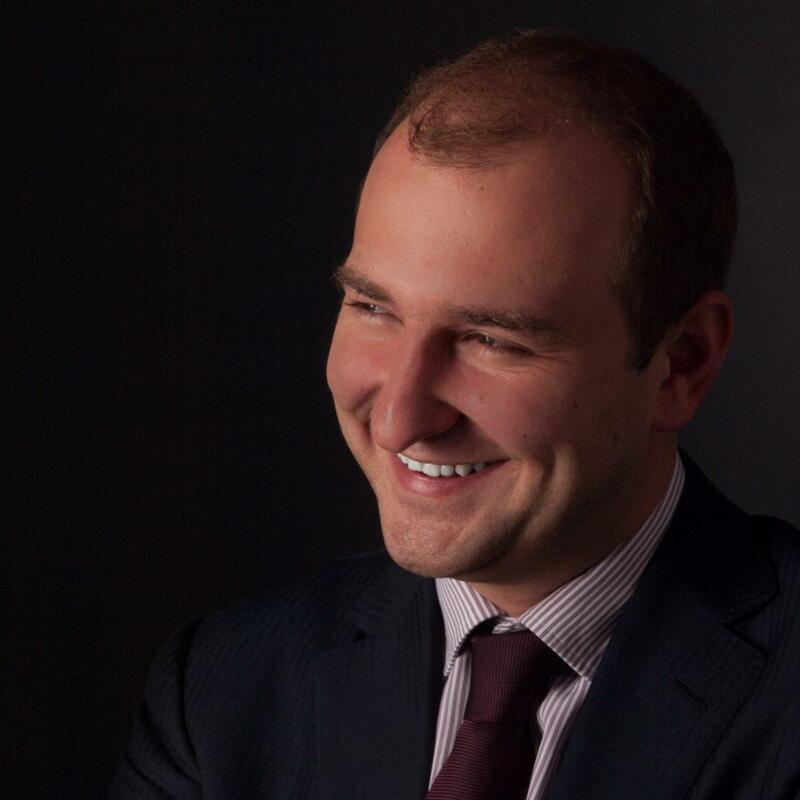 Interview with Kirill Silvestrov, CEO of Eternal Trusts. Do you dream of eternal life, interplanetary journeys or time travel? Why not, in the past the submarines and planes were considered to be the same fantasy. However, today both of them are daily routine. So why would immortality not become as real as a joint prosthesis or a heart transplantation? After all, it is only a matter of developing science and technology. Another matter, when will the necessary technology appear? This can happen in a year, ten or even a hundred years. Will we be able to wait for it? The project Eternal Trusts offers an answer to this question, because Eternal Trusts is the world’s first blockchain platform for the pending acquisition of not available at the moment goods or services. We have talked with the investment banker, a serial investor in technology and medical companies, CEO of Eternal Trusts project Kirill Silvestrov about the idea of its creation and how it all works. Vladimir Nikitin: So, you argue that within the framework of your project, you could guarantee the possible fulfillment of people’s futuristic fantasies? Kirill Silvestrov: Very close to that. We have created a unique platform that is ideal for time-delayed actions, which allows us to algorithmize the acquisition of a variety of services – including cloning, the restoration of the human neural network after cryonic preservation or chemical stabilization when it is available legally and ethically. We create targeted discretionary trusts in the interests of our clients, legal structures protecting the assets stored by the client from any claims of third parties. Money from trusts can be spent only for the needs and goals of the client. Assets in trusts are held in the most reliable banks and managed according to the most reliable long-term strategies. Our task is to ensure that at the moment when the client’s goal becomes achievable, the trust has an excess of funds to purchase all its components. Trust management of assets is carried out until the algorithm of autonomous implementation of the goals on the basis of annual analysis of potential contractors will not issue a verdict that the goal indicated by the client is safely achievable. Only in this case we get the services necessary for the client. Our trusts can exist for hundreds of years and throughout their existence they can seek the accomplishment of the task requested by clients. Vladimir Nikitin: When and most importantly how did you come to the idea that this project would be in demand and would have prospects? Kirill Silvestrov: About three years ago, during a business trip to Switzerland. The business trip promised to be quite routine, as it concerned the issues of taxation in connection with a change in Russian legislation. In the process of negotiations with lawyers we talked about trusts, about their diversity. It happened so that on the same day I talked with my father, who specialized in venture investments in pharmaceutical companies. Medical themes mixed with legal and a question, which now seems to be very logical, came to my mind: Is there the opportunity to ensure that today’s customers purchase services, which, most likely, will appear not tomorrow, not the day after tomorrow and in the best case in 30 – 40 years? Thus appeared our product based on the one hand by trusts, on the other – by a health research. The fact that this project is not just relevant, but necessary “here and now”, can be explained by the fact that it is already technologically possible to clone as well as to ideally preserve DNA and tissues of the mammalian brain. And as recently as on the 15 of March one of the most famous people in Silicon Valley, billionaire Sam Altman, announced that he had paid $ 10,000 to create a digital detailed image of his brain so that in the future this information could be used to recreate consciousness. Vladimir Nikitin: From the idea to the implementation there is a huge distance. Who did you share your thoughts with first of all? How were these ideas perceived? Kirill Silvestrov: The first listener was, of course, my father. Then there were the bio-technologists, potential buyers, clients or investors. And the thing which I really liked that the idea left no one indifferent, it was so crisp and contagious that during the process of talking my interlocutors started to develop it further, offering new options for its use and implementation. But to a certain point there was no further elaboration of the project. Everything changed dramatically with the development of blockchain technology and the ICO boom: they became the missing links in the chain, which allowed us to organically mix trusts and bio-technologies. Sometimes I still think that the blockchain was created specifically for our project. Vladimir Nikitin: And how are we supposed to get away from it? Kirill Silvestrov: In the course of the development of the project we should come to an ideal scheme of relations in which there is a place for a client and a computer, to which he in accordance with a certain form will report his tasks, goals, dreams and lay down a certain algorithm for their implementation. Then, after clicking the conditional button “Start” starts a fully automatic and autonomous process of achieving this goal. As soon as the client’s wishes on technical, legal, technological, ethical, financial and any other grounds become feasible – the transaction is made. In this construction, we act solely as the creators of the infrastructure that will help to bring to life someone else’s dream to fly to Mars, or to wake up in 1,000 years as a rich man. Our platform is ideally suited for all dreams. Kirill Silvestrov: Once Albert Einstein called the complex percentage “one of the greatest mathematical discoveries in human history.” Why? Here is the simplest example. It’s not a secret that in 1626 the American Indians of Delaware tribe sold the island of Manhattan to the Dutch for 60 guilders (about 30 dollars of that time). This transaction is traditionally considered to be one of the most unsuccessful in the history of commodity-money relations. But is that really the case? If the Delawares had been familiar with the banking system and received payment for the land not in barter (knives, mirrors and jewelry), but in money and put it in the bank with at least 10 percent per annum (quite ordinary at the time), the size of their contribution now would have amounted to about 284 quadrillion US dollars, which is much more than the current estimated cost of the island of Manhattan with all the buildings located on it (50 billion dollars). I have given this example in order to illustrate one of the main advantages of a trust: sooner or later the amount of money it contains will be sufficient to make any purchase. Most likely, absolutely any. It’s only a matter of time. We, for our part, only automate this purchase and then return to the client the excess of funds, in other words, cashback. Vladimir Nikitin: How do you imagine the target audience of your project? Are they wealthy and very wealthy people? Kirill Silvestrov: Absolutely not necessary. Alternatively, in order to fill the trust fund with the amount of $ 1,000,000, it is enough to sign a contract with an insurance company with monthly payments of $80 for 20 years, if you are 30 years old and you are healthy. Lifting figure? I think it is. Our service is available and interesting to very wide segments of the population, and we are going to conduct a very aggressive marketing policy so that the absence of our service becomes unnatural in the eyes of people. Vladimir Nikitin: Can you give examples of ideal goals and objectives for your trust? Kirill Silvestrov: The meaning of our product is to help to realize this dream, to achieve something fantastic, not just to save money for the education of children or grandchildren. To do this there are lots of other financial instruments. Another question is that realizing that the goal laid down in the blockchain and our legal model is impossible and unattainable at the moment, makes it necessary to supplement it with a set of additional goals, to set priorities for the purposes. As an example, I can talk about my own trust, which I think is well thought out for the prototype. The highest priority goal in it: within 200 years to try to restore me with preservation of the personality and memory from the genetic material available on storage and to transfer to me the increased means. Clarifying objectives: the trust should help me with education (so that I do not feel like a caveman in 200 years), with health (to eliminate the maximum possible number of deviations from the generally accepted norms at that time), with legalization (obtaining correct documents that would allow me to be a full member of the society of the future). Another clarifying goal: to activate the purchase I need for medical manipulation my trust should only if its purchasing power will be similar to 1 percent of the average size of the funds of the richest people on the planet at that time. Realistic goal: if in 200 years it is impossible to perform a priority goal for any reason, ask the trustee to transfer my material to clone and transfer to my exact genetic copy my assets, help with education, health and legalization. If neither of that, nor another is impossible, please pass on the increased assets to my family, bearing my name and the closest in the genetic code, and in case of the lack of money – give the money to charity. However, it is my personal dream, and it is absolutely not necessary that revival in 200 years for someone else is the same attractive prospect as it is to me. And it’s perfect! And I do not see any reason to somehow limit our customers in the flight of their imagination. With the infrastructure of Eternal Trusts project any goal will be achieved if it is technically implemented within the time frame specified by the client. Moreover, as a part of our pre-sale we provide a bounty program, according to the rules of which we will charge the clients ETT-tokens for successfully articulated and fragmented details of the goals, objectives and dreams. I am sure that after processing this array of information we will get an invaluable storehouse of invoices for sociologists, marketers and many other specialists. Vladimir Nikitin: Yes, it will be a fascinating collection of works… but if I understand correctly, Eternal Trusts project has not only a passive, but also an active function that encourages the research community to develop certain technologies. Kirill Silvestrov: Quite true! If 10 people dream of genetic immortality – this is one situation, and when they are already 10,000 and everyone will be ready to pay for the implementation of their dreams of future wealth – it becomes different. Are we pushing the scientific world to the rapid development and emergence of new technologies by the existence of such a solvent, ever-growing demand? Certainly! Vladimir Nikitin: At what stage is the development of the project now? Kirill Silvestrov: On the 22 of March is going to start the pre-sale of our tokens, which will last until the 30 of May and within the framework of which we plan to raise $ 2,000,000. And from the 1 of June to the 1 of August will be held the main stage of ETT token sale. Our Soft cap at this stage is already 7,000,000 dollars. I believe that the first and second goals are real and achievable due to the extremely high interest of the crypto community in our project and product. In spite of the results of both Pre-sale and Token Sale, we have decided to implement the project at the expense of the team’s own funds. In our business model, which we have created in cooperation with highly respected experts, there is a very pessimistic version of the development of events in which our project will still be eventually implemented, albeit in a few other terms than we would like. I want to say that in any case I will not back down from his idea for the simple reason that Eternal Trusts is the best thing that has ever come to my mind.